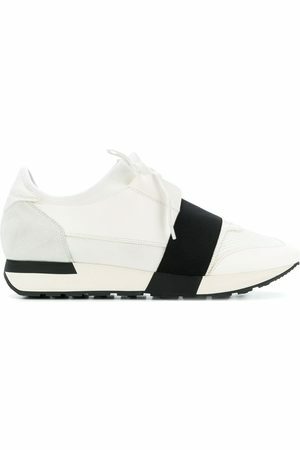 It is no surprise that anything Balenciaga conjures up rises to cult status. This season, expect more iconic handbags, contemporary footwear with a retro feel and logo-sprawled surfaces. 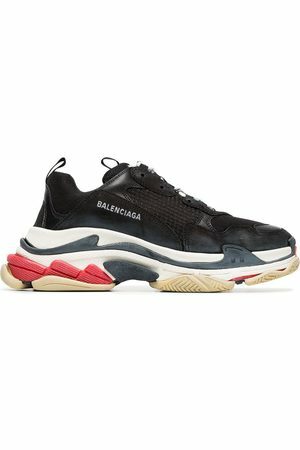 These black, yellow and white Triple S sneakers from Balenciaga feature a ridged rubber sole, a pull tab at the rear and tongue, a lace-up front fastening, a round toe, a branded tongue and mesh panels.